Using Designer’s easy-to-use drag and drop interface, you can quickly build multi-scene AR experiences using video, images, audio, buttons, links and more. 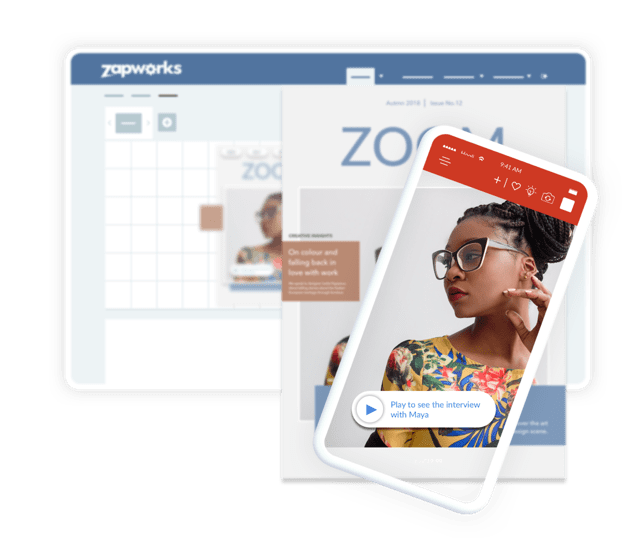 Thousands of marketers, educators and small business owners across the world use ZapWorks Designer to quickly add additional information, interactivity and a touch of magic to their print, learning resources and sales materials. Drag and drop videos, images, audio, text, buttons and then finesse with Designer’s awesome scene transitions. 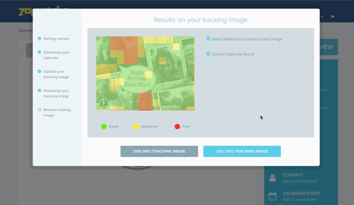 ZapWorks Designer supports best-in-class image tracking, making it possible to create fully-fledged AR experiences where content appears “attached” to the image as it moves. Build multi-scene AR experiences then add additional animations with Designer’s scene transition functionality. 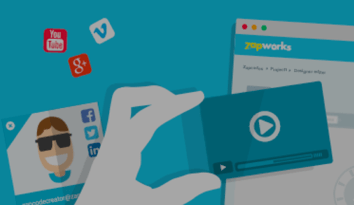 With ZapWorks Designer you can quickly transform your static images into fully-fledged videos in a few clicks. Import directly from YouTube, Vimeo or upload them straight from your desktop. 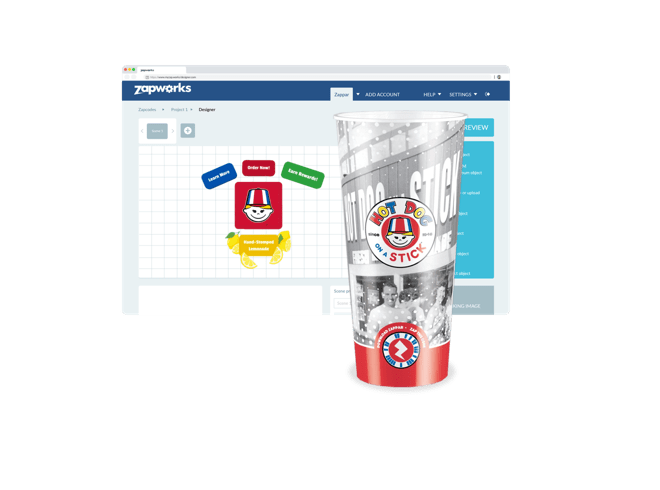 Create your own augmented reality photo album for a project, event, campaign and more. Designer enables you to easily link out to contacts, calendar entries, external websites, videos and more. Start creating awesome AR experiences. No technical expertise necessary. 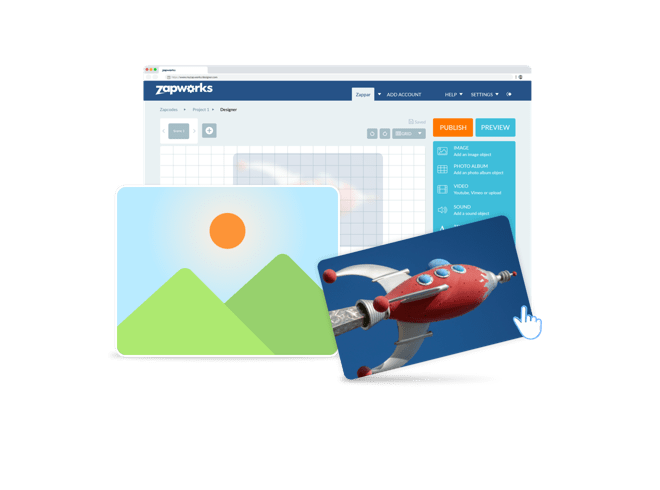 Get familiar with ZapWorks Designer by watching our Introduction videos. 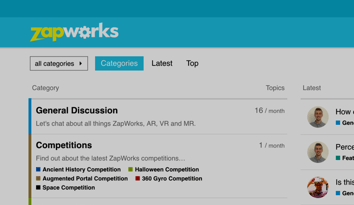 Get to know ZapWorks Designer inside and out with our friendly docs site. Ask questions, get help and make connections with our friendly community of AR enthusiasts. 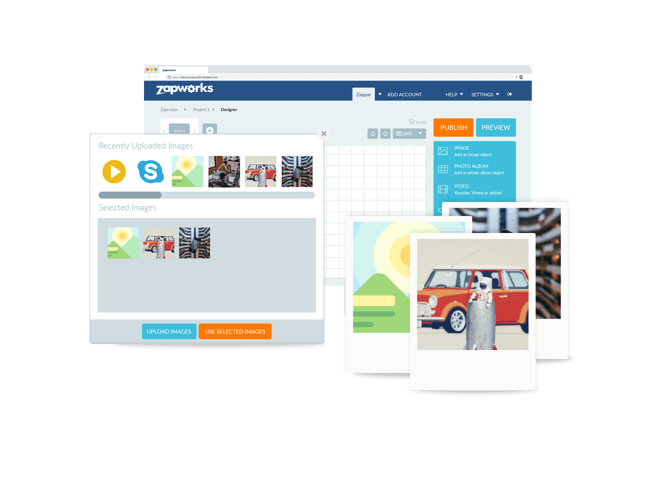 ZapWorks Studio is the perfect next step for creating more complex AR experiences. 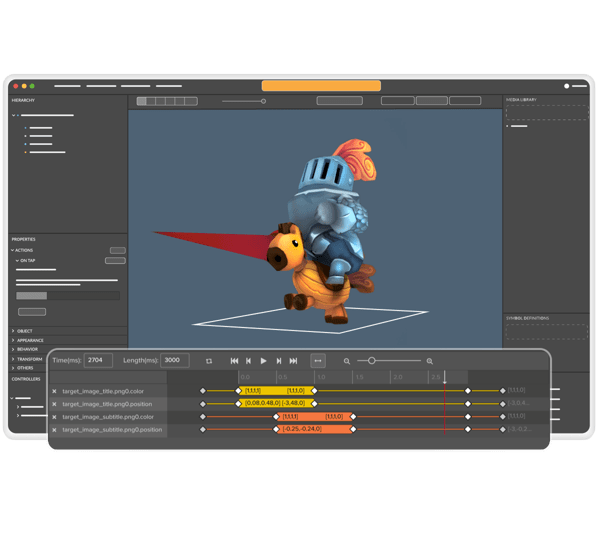 Its functionality allows for greater customization and versatility, incorporating 3D models, 360° video, timeline animations, dynamic lighting and scripting. Using Actions, you can also choose to create in Studio without having to write a line of code.